Parenting children from different parents can be difficult at the best of times. This module will help your clients work through the struggles to help them see their role in the lives of the children in their home. Based on the highly respected Love and Logic approach, these lessons will be an important resource for your clients. 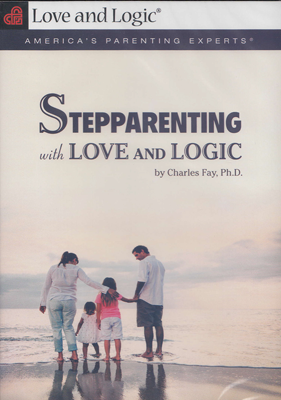 Lesson 1, Stepparenting Basics, introduces stepparenting the Love & Logic way. Using this approach, stepparents can deal with tough challenges without losing control or overstepping their “step” parenting boundaries. Lesson 2, The Role of the Stepparent, teaches the three-fold role of stepparenting: loving your stepchildren, taking great care of yourself, and providing the occasional consultative services. Lesson 3, The First Rule of Love and Logic, goes more in depth about what it means for stepparents to take great care of themselves by setting limits without anger, lectures, threats or repeated warnings. It gives tips on how to move into the stepparenting role and how to deal with common problems. Lesson 4, The Second Rule of Love and Logic, teaches how to lovingly allow a child to take responsibility for his own behavior and the resulting consequences. It teaches the stepparent to parent with empathy and love. Lesson 5, The Foundation for Success, sums up the importance of setting limits, knowing the boundaries of stepparenting, and understanding the “consultative” role in order to be an effective stepparent. The stepparent will learn rules to avoid undermining the biological parent, and they will learn the importance of putting their marriage first to create stability for their stepchildren. Each lesson includes a DVD worksheet, answer key, and homework to help spur discussion and internalize the lesson. This DVD is about taking two families and making them one. People who have been in this spot know that the task can be a daunting one! In this video, Dr. Charles Fay takes a positive yet realistic look at this subject from the eyes of the birth parent, stepparent, and the children. He provides practical tips for answering questions such as...When is it best for a stepparent to begin providing discipline? How can I build loving relationships with my step kids? What if they don’t respect me... and treat me like a doormat? What’s my role as the birthparent? How do I support my kids and my spouse? How do we avoid drama where one parent is always the “bad guy”? What if my former spouse is the “Disneyland Parent” and always makes me the villain? 120 minutes.